The game's latest update has also shed more light on the previously-revealed Octarian player type. Just about a month ago, we reported a story concerning data mining efforts into the latest Splatoon 2 update. 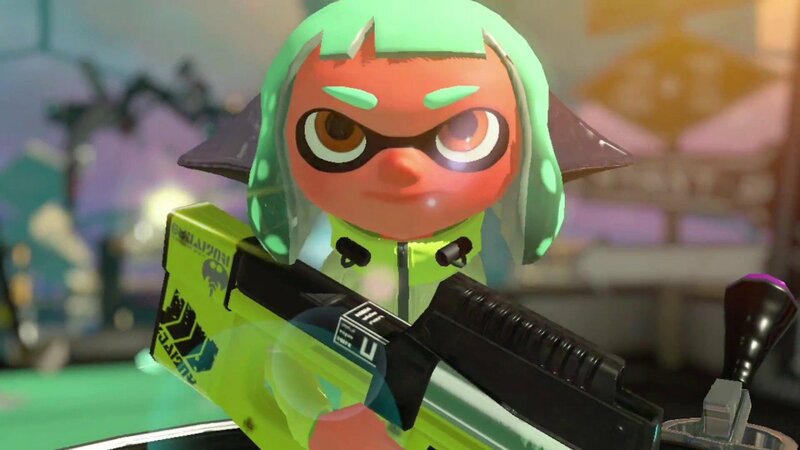 Among the reveal of new weapons and new maps was the reveal of an all-new player class based around Octarians, which was big news for the game's many fans. Well, thanks to another post from user OatmealDome over on the Splatoon subreddit, we now even more details about incoming changes to Splatoon 2, including information and parameters concerning an all-new ranked gameplay mode as well as additional details regarding the mysterious Octarian class. What Is Splatoon 2's Latest Game Mode? According to the most recent Splatoon 2 data, a fifth new gameplay mode has been added to the game's existing lineup. It's named Vrc, and like with the internally-named Var (Area/Splat Zones) and Vlf (Lift/Tower Control) gameplay modes, the name begins with a V, indicating ranked gameplay. Additional parameters concerning the mode make multiple references to rockets, which is why the game is now being referred to as Rocket mode. Among the data were variables concerning in-game objectives: Obj_VictoryRocket, Obj_VictoryRocketNozzle, and Obj_VictoryRocketNode. The nozzle turns out to be a weapon that can be equipped by the player, and is defined as a special weapon with its own special type of bullet. Additionally, a value named VictoryRocketNozzle has been given the model of the Rainmaker weapon, though it's likely that's only a temporary stand-in model. From what can be gleaned from the data, it appears that the Rocket gameplay mode involves players tracking down a special rocket weapon as well as special ammunition, which has been littered about the map. The data contains a test version of The Reef with rocket-based items placed all around the map, including one located at an unreachable location beneath the map. We don't yet know exactly how this game mode will work, and to make matters more confusing, the game data has variables named Ball and TestObj_Lft_VBallGoal placed around the map as well. These variables aren't used or referenced in any other game mode, so it's hard to see why they're there. It may be that these items, as well as the Rocket mode itself, may not materialize any time soon, if at all. New information has surfaced regarding the Octarian variables introducing in Splatoon 2's last update, and the new data has confirmed that the variables OctBoy and Oct are indeed part of the PlayerType variable. We know from the current game data that the Oct variable is actually OctGirl, and that both are player types that are apparently controlled by AI. One image has surfaced which looks to show hairstyles for both Octoling girls and boys, though it's legitimacy cannot be verified, and the Octolings also have a so-far unused icon that would be displayed alongside dialog prompts within the game's solo compaign. No one can say for sure of Octolings are meant to be playable now or in the future, but with that said, Nintendo has at least put forth worth to put them into the game. For now, we'll just have to wait and see what appears in the game's next official update. Stay on top of Splatoon 2's ink-splashing action by checking out some of the excellent strategies, tips, and news stories detailed over on Modojo's Splatoon 2 guide hub.